Do you like collecting things and stashing them away? 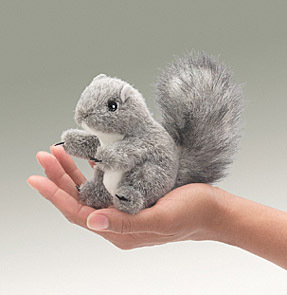 You'll find a kindred spirit in this little Gray Squirrel finger puppet. Collect her for fun and play. Measures 7" long.